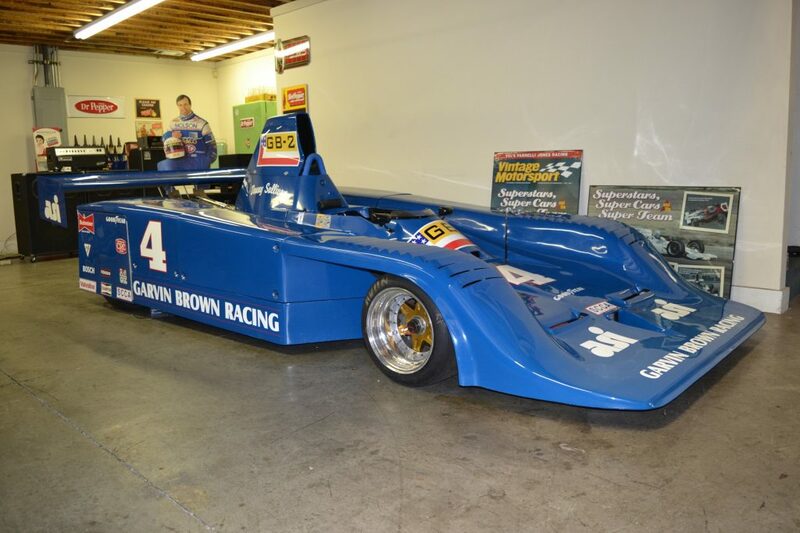 Offering this beauty, a center-seat Can-Am Chassis #02. Original to Rocky Moran. Driven to success by Danny Sullivan! Sale comes with his driving suit, cutout/standup for shows, and Danny has signed the radiator shroud. List of owners shows Mr. Paul Newman for a short time. HUGE history on this chassis, all restoration docs go with the sale. This is a well-kept chassis owned by my client, a huge race supply business owner, great guy. He has kept this car in top tier condition. This car was also featured in the movie “Circuit”. Sale comes with original VHS and new CD for viewing. Also featured in the book “Fast Lane Summer” about the Can-Am 1981 series. This is a NO disappointments car! Also being sold at a very reasonable price! Send for info on history. Fully documented!